Noah and the ark makes it on everyone’s list of top ten favorite Bible stories—right up there with Jonah and the whale, and David and Goliath. 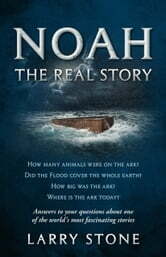 No biblical account has raised as many questions and has generated as much controversy as Noah and the ark. The story in the Bible is just the beginning! Was the massive ark seaworthy? Did the Flood cover the whole earth? Has the ark been found on Mount Ararat? Where can you see the ark today? These questions and more are answered in NOAH: The Real Story. Other books have covered just the Flood, or just one aspect of the search for Noah’s ark, but this is the only book to tell the complete story. 1. The Noah story as told in the Bible 2. Flood stories around the world 3. Was the Flood global or local? 4. How big was the ark and how was it built? 5. How did Noah gather and take care of the animals? 6. Pilgrims have searched for the ark on Mount Ararat for thousands of years. 7. Modern “arkaeologists” and their search for the ark 8. Noah goes to Hollywood; Noah in movies and television 9. Where can you see the ark today? 10. 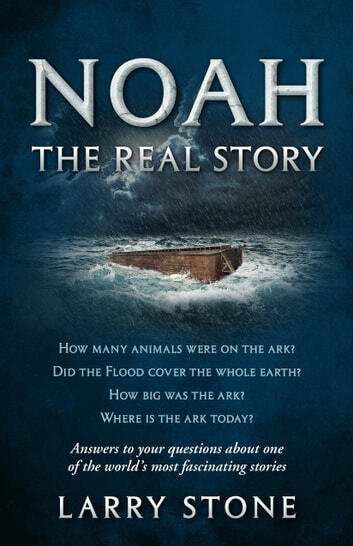 Noah’s secret for surviving the end of the world Filled with fascinating stories, controversial details, and thorough research, Noah: The Real Story answers your questions about Noah, the Flood, the animals, the ark, and the search. What Will Happen on December 21st, 2012?